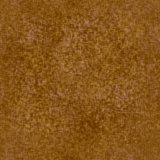 This is the Marigold. 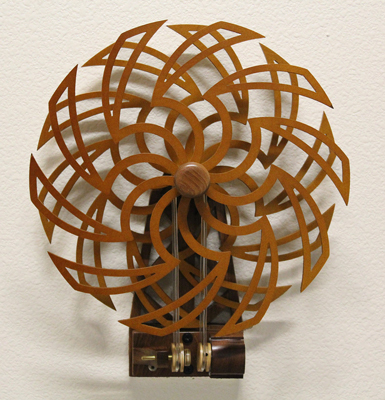 This simple to build moire generating kinetic sculpture is such a delight to view. It quietly puts on a dazzling visual display, and there is never any winding. It is almost completely silent, super simple to build, and long running. The Marigold is powered by a whisper quiet 9 volt motor that can be run using an internally mounted nine volt battery - making it a self contained portable unit, or it can just as easily be powered using a wall mounted 9vdc power source. Marigold also has a couple of variations in how it can be mounted. Below on the left you see the wall mount frame. With the internal nine volt battery, you can mount your Marigold anywere! And on the right is the free-standing tabletop sculpture. In this form the Marigold is completely portable. 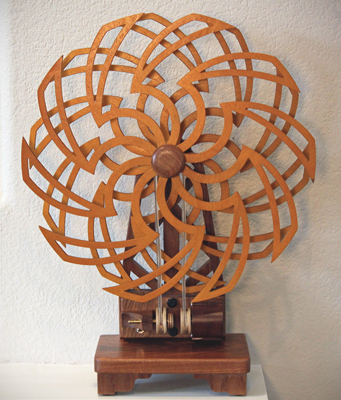 The 13.5" (34cm) diameter wheels for this delightful kinetic sculpture are designed to be easily cut at the scrollsaw or cnc. 'Simplicity' is the word that best describes this project. But one wheel was just not enough for my artist friend, Robert Hains, as he demonstrates below in his beautifully created multi-wheeled variation. 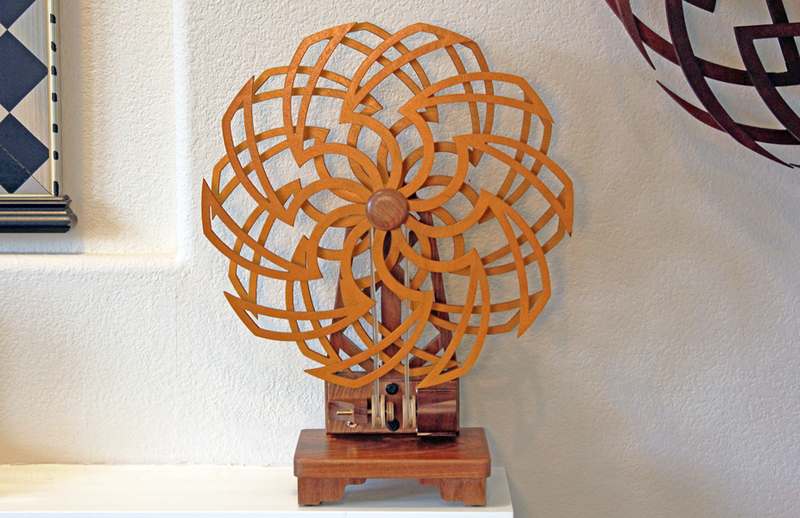 Robert's imaginative artistic interpretation of the Marigold shows that these wheels can be resized and used in multiples to create a "Marigold Garden", and a sparklingly beautiful visual display! 1. Have a CAD program that can read dxf's. 2. Have a valid email address that can receive a 5 MB attachment. Add moalanikai@yahoo.com to your safe senders list so we don't end up in your spam filter.